All parties in a joint account are equal owners of the funds. 2. One Spouse's Income Is Below $500: Do You Have to Claim It if Married Filing Jointly? 3. How Much Time Do I Have to Open an IRA? In many cases, it’s easy to split expenses and share them with others without intermingling each person’s finances. In some situations, it just makes more sense to open a joint account. Although many people think of joint accounts as a part of marriage, virtually any two people, married or not, can open a joint checking account together. For the most part, you can open a joint checking account with anyone you like. Although married couples often combine their finances in an account, unmarried couples, business partners, roommates or parents and their children might also opt for the convenience that a joint checking account provides. Account holders can name more than two people as owners of the account, conferring ownership rights and responsibilities for the account on as many people as they feel necessary. 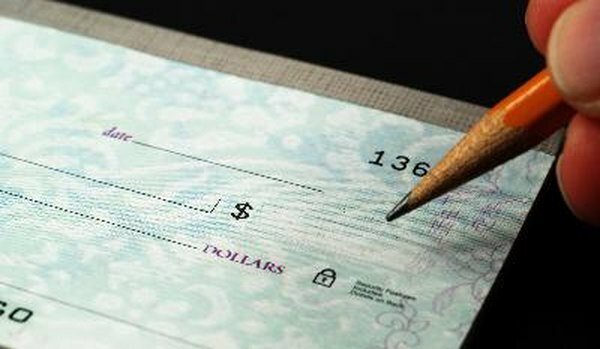 When funds are deposited into a joint checking account, all members of the account become legal owners of that money. They can spend it with limited legal recourse, regardless of which party originally made the deposit. Similarly, all account holders may be held personally liable for charges associated with the account. For example, Steve and Linda open a joint checking account and Steve places $2,000 into it while Linda contributes $200. Because it’s a joint account, Linda can then withdraw the entire $2,200 as she wishes. If she writes a check for $4,000 from the account the next day, Steve can also be held liable for charges she created when the check bounces. In order to avoid this, you can set up restrictions on the account that require dual signatures for certain transactions. Funds in a joint account are considered jointly held property, and when one account owner dies, the survivor takes full possession of the funds. The joint account doesn’t enter the deceased’s estate or pass through probate, and the deceased’s heirs have no direct claim on any balance left in the account. If a couple is unmarried and uses a joint account, all funds in it revert to the survivor, which might bring complications to heirs who want their share of the account. Although authorized users can use an account in many of the same ways as joint owners on a day-to-day basis, they aren’t account holders. The primary account holder may want to have an authorized user for cases of emergencies, but not all banks offer accounts that allow authorized users. This person would be able to sign checks and make withdrawals from the account, but would not have ownership of the funds in the account. As with joint accounts, an authorized user doesn’t have to be married to the account owner, and he can make transactions using funds in the account. He doesn’t, however, have any ownership of the account, nor is he liable for it. If an unmarried couple places each other as authorized users on one another’s accounts and one dies, the deceased’s heirs receive the account rather than ownership transferring to the surviving member of the couple. U.S. Federal Reserve Board: Authorized User Account Status and "Piggybacking Credit"
Do We Have to File Married Filing Jointly Every Year? Do Assets Have to Be Liquidated to Change Stock Brokers?